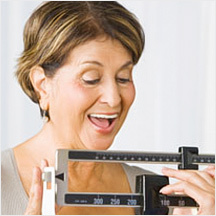 Here’s living proof that our Medical Weight Loss Programs work! 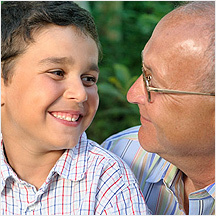 Take a look at our patient success stories below and get inspired to begin your own journey. Your weight loss goal is within reach. Just imagine how rewarding it will be when you become healthier…looking and feeling your best! I had been struggling with a few extra pounds for years, going up and down the scales, trying one new diet after the other. Some were actually effective, but just too difficult to maintain in the long term.The pounds always came back, and always came back with a few additional pounds too. Then, four years ago, I underwent very difficult knee replacement surgery. I was nearly immobilized by pain. I found myself fatigued, frustrated, and more than sixty pounds overweight. Something had to be done. Something different. 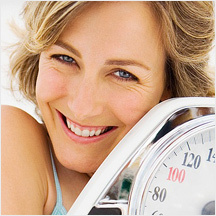 Fortunately, a friend told me about her successful weight loss at the Gurnee Medical Weight Loss Center with Dr. Tack. She looked great, felt better than ever, and had maintained her weight loss for over six months. That first phone call to the Gurnee Medical Weight Loss Center eight months ago put me on the road to a weight loss of 60 pounds and counting. What really convinced me about this weight loss program is the care and concern of both Dr. Tack in monitoring my overall health. While losing weight I have improved my cholesterol levels, decreased my dependency on high blood pressure medication, and the arthritis in my knees and hips is greatly improved. 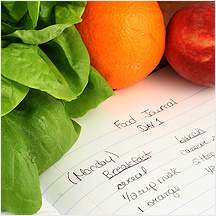 The diet is easy to follow and the best part is that I never feel hungry…I’m in control of myself and my appetite! Now I’m looking great and feeling better than ever. 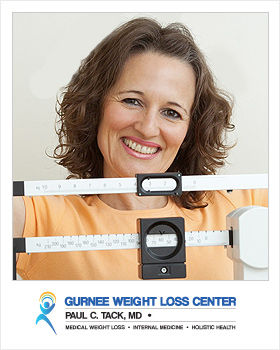 I recommend The Gurnee Medical Weight Loss Center to everyone! My name is Maria, I am a day care provider in Illinois. In October I was diagnosed with degenerative disc disease and my doctor suggested that I lose weight. After months of physical therapy my back pain got worse by the day and I had a lumbar disc fusion shortly thereafter. I have been overweight for years but after my surgery I gained more weight since my activities were limited. I went up to a size 24 in clothing and weighing 246 pounds. I always felt tired, had no energy and most of the time I was in a bad mood. My doctor referred me to the Gurnee Medical Weight Loss Center with Dr. Tack. When they explained the diet, I thought to myself “Just another diet I’m going to fail at”, it was not the case this time. Working with Dr. Tack has been great. I’ve lost 56 pounds in 7 months and now fitting in a size 14. I have a lot more energy and the best thing is that drinking the shakes and eating the protein bars I never felt hungry. Thanks to The Gurnee Medical Weight Loss Center, I have learned how to eat healthier, I feel good and my back problems are gone. The compliments I’m getting from family and friends are great! I have been in the care of Dr. Tack for weight loss and lowering my cholesterol. I lost 20 pounds and lowered my cholesterol by 56 points. All this was done by making some lifestyle changes and altering my diet. I feel great and thank them for the guidance! My experience with Dr. Tack at The Gurnee Medical Weightloss Center has been fantastic! I have lost 56 Ibs, 10 inches from my hips and waist and have gone from a size 18W in my favorite pants to a size 8 in them. It’s like “I” am back again. I enjoy cooking things for myself now and would often eat TV dinners before to help me lose weight. Now I even want to cook more. Moving to the point of being mindful of what I eat and how it will affect my weight and health in the days ahead. With Dr. Tack’s guidance and consistent monitoring I went from 6 medications a day to just two. My blood pressure is back to normal, my pain level from fibromyalgia and arthritis is so much better that I cut my pain medication in half. I am so glad I put my trust in Dr. Tack to help me reach my goal. I received so much more than just weight loss. Thank you Dr. Tack for giving my life back. money for nothing. I gave this weight loss program a chance because I like the way both doctors work together. I can honestly tell you that my health has improved, as my blood pressure is normal, I do not suffer from sleep apnea, no stress or depression. I feel good, healthy, skinny and beautiful. I started the program in with a weight of 245 pounds and so far I have lost 40 pounds. I am so happy with what I have achieved so far and I know the doctors are very proud of me too. I am very thankful for their help and constant support and I couldn’t have done it without them. My goal weight is 180 pounds and I’m so confident and truly positive that I will make it. I will definitely recommend this program to anybody. It is a healthy and secure program and the most important this it is guided by no only two great medical professionals, but two wonderful people and their staff. I came to Dr. Tack due to a change in insurance. In a matter of 8 months, I lost over 40 pounds. I Feel Healthier both Physically and Emotionally. I was introduced to new foods and proper eating habits – the diet was great and I didn’t crave “Junk” foods anymore. I am a much happier person now and will continue my progress. Thank you so much! I have tried to lose weight dozens of times with no luck or I would gain whatever weight I lost back plus some. I was very skeptical when my neurologist recommended I make a visit to Dr. Tack. I had a few health issues that would never be fully resolved without losing some weight so I thought I would give it a try, what could it hurt. After seeing the Doctors for a little over a year now I am down to my goal weight and maintaining. The life style change that the Doctors have taught me is definitely “life changing”. I am more energetic in my daily life and have a huge amount of self-confidence that I never had before. I actually enjoy going to the gym to workout. Hearing from coworkers that I look great is a huge encouragement to stay on track. I have worked very hard over this past year and wouldn’t change my decision for anything. I have been so pleased with my results and the motivation from the Doctors that I have recommended a few people in my family begin the life style change as well. They too couldn’t be happier. Thank you Dr. Tact and for all of your support and encouragement!